Today we are excited to launch a few updates to the pipelines and offices that will further help your agency’s data organization. 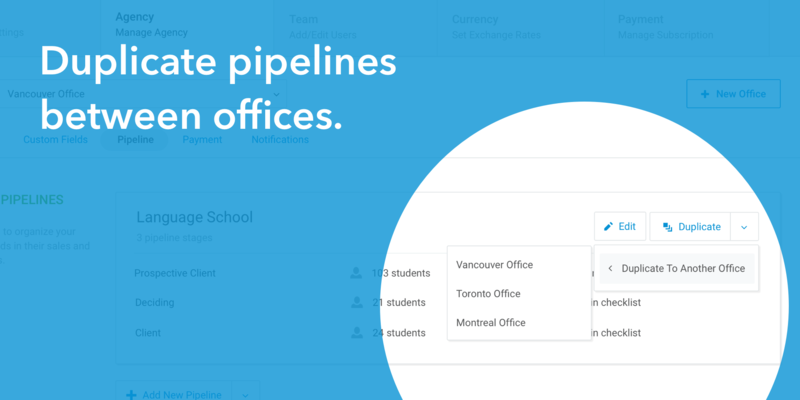 You can add as many pipelines as you want to an office. To add a new pipeline to an office, go to Settings > Agency, click Add Pipeline and create the stages and checklist as you would previously. You can also duplicate existing pipelines to the same or other offices. 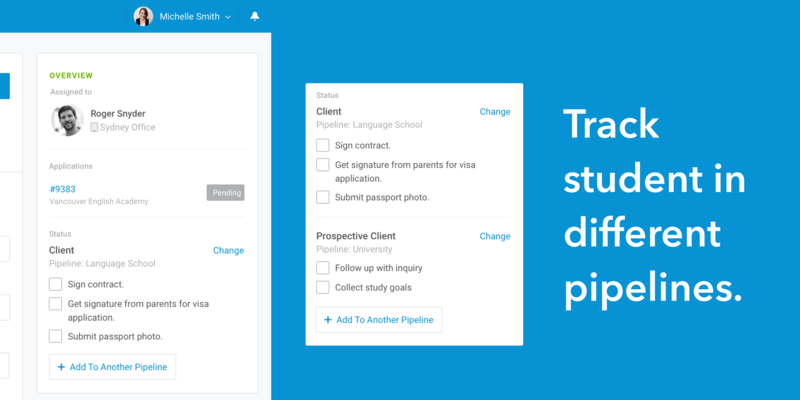 To assign a student to a pipeline, simply goto the student profile and click Add to Pipeline. 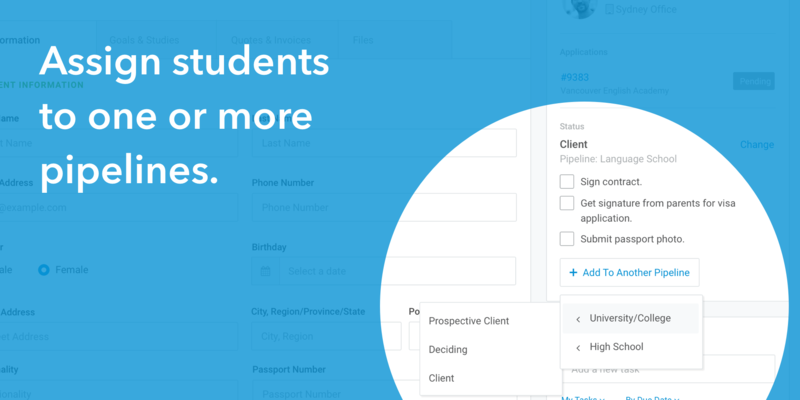 You can also move students to another pipeline or add them to a second pipeline. To tidy up the new pipeline features, we’ve slightly changed how you access your offices in the navigation panel. You now switch between offices using a submenu on the top left corner, located beside your agency logo. Just click the little drop arrow beside the office name, and you will see a list of all the offices. 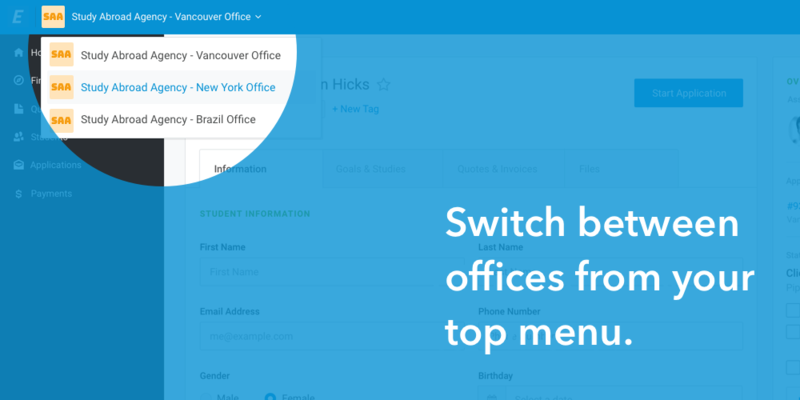 Users will only see the office names that they have access to. 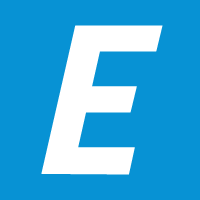 As always, thank you from the Edvisor team and continue to contact us with feedback and questions; we love it!